The average homeowner is well conditioned to believe that once harsh weather starts, certain things need to be protected from the elements. You wouldn’t let your grill sit in the rain and the snow, the same goes for your lawn furniture. However, what about your air conditioner? Once summer ends and you are no longer using it, should you cover it up to protect it? The short answer is – yes, but be careful. In truth, you only need to cover an air conditioner in the fall. 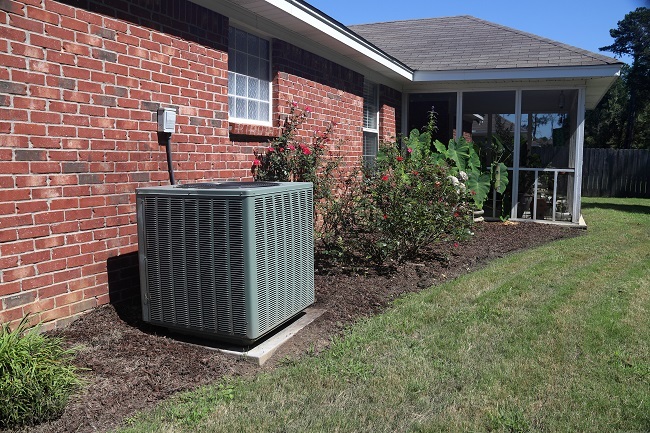 Air conditioners are built to withstand rain and snow. By having proper drainage, the air conditioner is perfectly capable of withstanding those elements. However, what an air conditioner can’t deal with very well is the falling leaves, nuts, and seeds that come with the autumn season. These can build up in an air conditioner, cause spots of moisture, and it will eventually lead to areas of corrosion. The terror that is falling leaves is the only reason to cover an air conditioner. Unfortunately, you need to be very careful with covering your air conditioner. Any cover should only go down to at most six inches down the side. By covering a whole air conditioner like you would a grill with a grill cover, you can actually trap moisture inside because it can no longer vent as it was designed to. This is why the cover should actually be removed once all the leaves have fallen so that moisture doesn’t build up. If you have neglected to cover your air conditioner in the fall, it isn’t the end of the world. By having regular maintenance done in the spring, the technician will be able to remove all the leaves and debris before use. Ideally you don’t want it sitting inside your air conditioner all winter, but part of yearly maintenance is removing debris and treating corroded areas. If you have an air conditioner that needs repair or maintenance, contact us today.